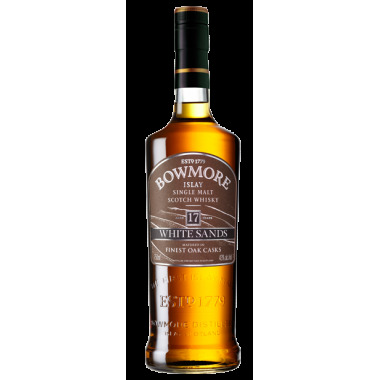 White Sands of Bowmore is a 17 Years-old Single Malt offering a perfect balance between a smoky, fruity and caramelised taste. 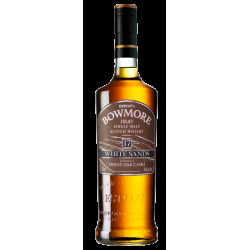 Inspired from the Laggan Bay and Big Strand beaches, the longest beach of Islay, Scotland, White Sands is much less iodized than the Bowmore Gold Reef but with the same delicate texture. This 17 Year-old Single Malt is the perfect balance between smoky, fruity and sweet caramel flavours. Bowmore is one of the largest and oldest of the Islay distilleries. It was established in 1779 in Bowmore, capital of the Isle of Islay by David Simpson. The distillery remained in the Simpson family until 1837, date on which it was sold to William and James Mutter, consul of the Ottoman Empire, Brazil and Portugal in Glasgow. In 1892, Bowmore was taken over by Joseph Robert Holmes, who introduced the name of Bowmore Distillery CO. 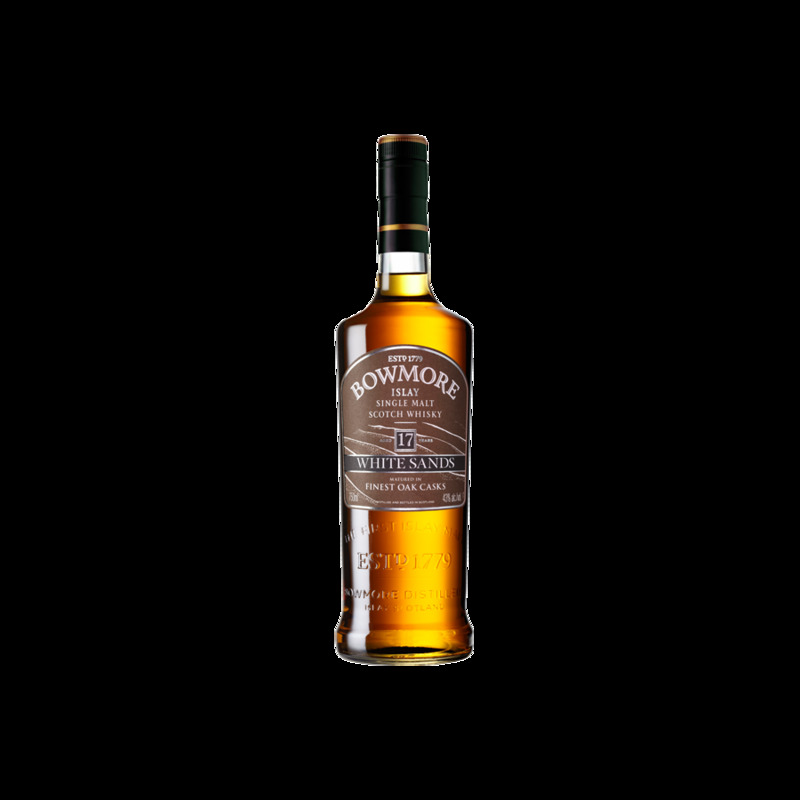 In 1925, the distillery was purchased by Sheriffs' Bowmore Distillery Ltd. In 1950 William Grigor & Sons took over the distillery and went bankrupt in 1963. The distillery was then bought by Stanley P. Morrison. The name of the company was changed into Morrison Bowmore in 1987. Since 1994, the firm Morrison Bowmore is 100% owned by the Japanese Suntory. The village sits on the shores of Loch Indaal bay. The distillery is located both geographically and in terms of taste between the South of the island, producing intense malts (Ardbeg, Lagavulin and Laphroaig, Port Ellen) and the North producing sweeter malts (Caol Ila, Bruichladdich, Bunnahabbain). The general characteristic of the whiskies produced by the distillery is their great complexity. The river Laggan carries peaty waters. However the nature of the peat in Bowmore is different from that of other regions, as it carries more sand. The whisky is largely marketed as Single Malts, but also contributes to a number of blends, such as King Pride, Clan Roy, Rob Roy, Black Bottle and Islay Legend. Nose: a light smoky fragrance, sweet caramel and fruits. Palate: a hint of vanilla, fruits and a spark of grapefruit. A quite creamy texture. Finish: of good length. A very sweet caramel taste.